Climate change is an increasingly integral part of our reality. Over the coming decades, global warming will affect our socio-economic development, human health, our availability of food, water along with our ecosystems and wildlife, more than we are likely able to imagine. The Paris Agreement, adopted last year in December at 21st session of Conference of the Parties (COP 21) by 196 parties (195 countries and the European Union) to the UN Framework Convention on Climate Change (UNFCCC) constitutes by the views of many a landslide agreement in global efforts to mitigate climate change, as well as prepare societies through adaptive action to the likely negative consequences we are yet to encounter even if mitigation efforts succeed in limiting global warming to the below-2°C target. Marrakech also brings climate negotiations back to a region that is itself highly vulnerable to global warming, but also has a lot to gain from the successful implementation of the Paris Agreement. Morocco itself has in recent years topped up its renewable energy capacity considerably, a model that may be attractive for other North and Sub-Saharan countries as well. Morocco also stands for the very large opportunity in regions with significant, clean energy resources such as solar power/CSP in the case of North Africa to make a substantial contribution to emissions reductions in the medium- and long-term, provided the right incentives are set and barriers to investment in renewable energy technologies reduced. Importantly, using Marrakech as an opportunity to offer developing countries chances to invest in climate mitigating technologies, and to reinforce technology transfer into these countries could have significant developmental and in the longer term economic benefits, for all sides. 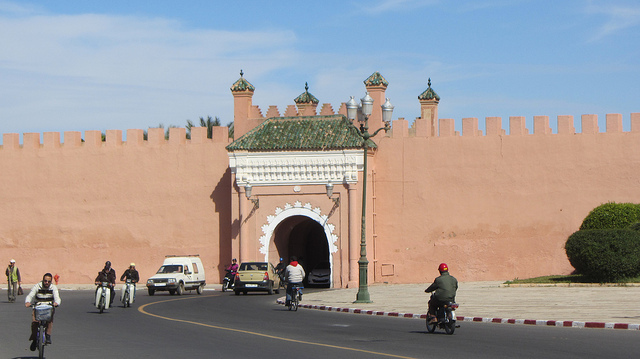 This Policy Brief explores some of the key agenda points for the road to Marrakech. Read/download the full Policy Brief | by Laura El-Katiri for OCP Policy Center.